Whether in support of health or the arts, social gatherings for a cause continue to build momentum. With a bevy of new galas popping up each season eager to catch the eyes (and wallets!) of this country's big givers, I've selected 10 social activities (in no particular order) worth attending. The Big Bang Bash, 2015. Luminato's opening night fundraiser will once again take over the Hearn Generating Station, a wonderfully desolate space in Toronto. This year marks the festival's 10th anniversary and Jorn Weisbrodt's fifth and last as artistic director. To celebrate, I expect Weisbrodt to end with a splash and the alwaysstimulating installations to be that much more breathtaking. The crowd: philanthropic heavyweights like Jonas and Lynda Prince, Ira Gluskin and Maxine Granovsky Gluskin and Eli Taylor; artists the world over, who in years past included the likes of Marina Abramovi ´c and Laurie Anderson; and actors including Isabella Rossellini and Charlotte Rampling. Italian fashion house Max Mara is returning to present Power Ball XVIII, the Power Plant Contemporary Gallery's key fundraiser. In addition to guests swathed in Max Mara's luxe camel-hued confections, the evening is a chance to see the wonderfully and wildly dressed creatures of the night: the up-and-coming performance artists, female impersonators and club kids who turn out in their most creative ensembles. Last year, Jennifer Rubell presented a dining instillation that set the city abuzz; in years past, Jon Rafman, Philippe Blanchard and Marisa Hoika have all presented works. The crowd: Collector Bruce Bailey, socialite Persia Dime, Max Mara's Maria Giulia Maramotti, and presiding over it all, gallery director Gaëtane Verna. Contemporary Calgary has a good thing going with its LOOK event series. Equal parts lecture and party, the event is an ideal mix of intellect and debauchery. The inaugural do welcomed urban theorist Richard Florida, while last year The New Yorker staff writer Adam Gopnik talked shop. The party that follows these lectures is always a mix of old guard Calgary art collectors and gen-next enthusists. With baited breath we wait for the announcement of 2016's talker of note. The crowd: Philanthropists Morris and Ann Dancyger, gallerist Yves Trépanier, culture enthusiasts Carol Ryder and Shaw's executive vice-president and COO and Contemporary Calgary acting board chair Jay Mehr. The 2015 gala held in Arsenal gallery was one of the more inspired galas I've attended, taking cues from the grand hotels of a bygone era. Guests dressed up, Champagne flowed and post dinner – in true Montreal fashion and likely fuelled by the plate-side vodka shots – danced the night away. 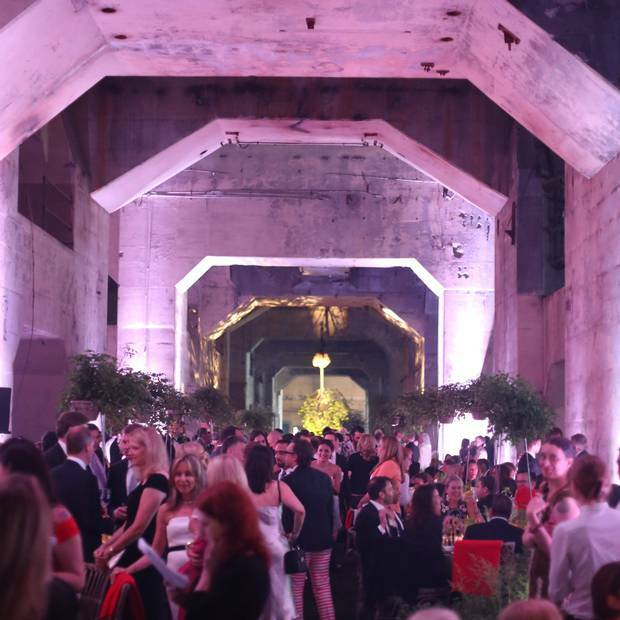 The evening raises major funds for the Musée d'art contemporain de Montréal. The crowd: Debbie Zakaib, president of the ball committee, philanthropist Stephen Bronfman, Birks Group Inc. CEO Jean-Christophe Bédos, fashion designer Denis Gagnon and the museum's director and chief curator John Zeppetelli. 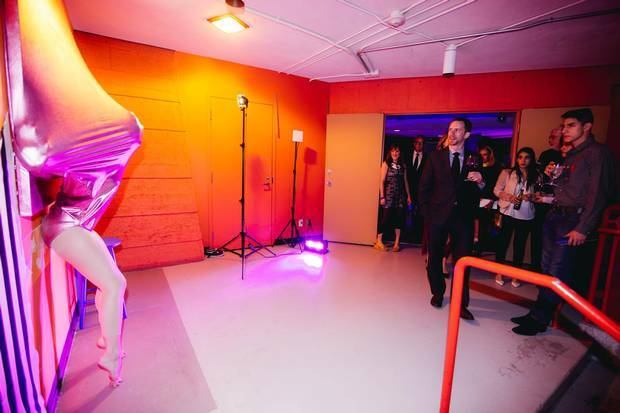 The 2015 Montreal Museum of Fine Arts Gala. Don't think for one second that fun is only to be had at contemporary art parties. Come fall, the Montreal Museum of Fine Arts will host its 56th ball, which historically has been a roaring good time. The most recent event invited emerging artists and creative types to reimagine various galleries in the museum, creating one-off intimate dining and lounge spaces that were a hit. The crowd: Calin Rovinescu, president and CEO of Air Canada, Victor G. Dodig, president and CEO of CIBC, Paul Desmarais III and Mary-Dailey Desmarais, and Margaret Trudeau. Artist Dean Baldwin at the Canadian Art Foundation’s 2015 gala. The Canadian Art Foundation's annual gala is a national happening, with major works from top artists, dealers and galleries from across the country offered in a live and silent auction. Proceeds go towards the foundation's multiple initiatives including free Gallery Hops in Montreal, Toronto and Vancouver. This is your chance to get some wonderful Canadian art, and if you can't make it to the gala, you can leave an absentee bid. The crowd: Sobey Art Foundation director Rob Sobey, artists Rundi Phelan, Trinity and Victoria Jackman, artist Michael Snow, art enthusiasts Bill and Sue Kidd, RBC curator Robin Anthony, and Canadian Art Foundation's CEO Jill Birch. From left, principal dancer Heather Ogden and first soloist Tanya Howard with Jim Pitblado at 2015’s Mad Hot Ballet. This is the National Ballet of Canada's key annual event, and this year marks its 10th anniversary. Co-chairing the dance filled do for the big 1-0 is Fashion magazine editor Bernadette Morra and social scene fixture Victoria Webster, so expect bold-face names from the worlds of fashion and society to be hitting the dance floor post dessert alongside the National Ballet's crop of talented performers. The crowd: Mark and Vanessa Mulroney, Hudson's Bay president Liz Rodbell, philanthropist Emmanuelle Gattuso, and the National Ballet's artistic director Karen Kain. New York drag performer MILK at the 2015 gala. The 25th Face the World Foundation gala, held last year, raised over $1.5-million for various Vancouver and Lower Mainland causes, including anti-bulling and music and sports programs for underprivileged children. Held at the Point Grey Road estate of Jacqui Cohen, the event serves mega glitz to its long list of West Coast business titans, finance leaders and the occasional celebrity guest, among them Jackie Collins and Tom Jones. The crowd: Lorne Segal, president of Kingswood Properties Ltd., BG Capital Group Ltd. founder Bobby Genovese and interior designer Dee Dee Eustace, film producer James Shavick, and socialite Janelle Washington. A performance from the Phoenix Huayun Artistic Troupe at 2015’s Daffodil Ball. The legendary gala in support of the Canadian Cancer Society is a must attend for the president and CEO set. This year, the event will once again take place at Windsor Station in Montreal. Noted for its over-the-top decor and use of 30,000 daffodils (the cause's official flower), 2016's event will be no exception – and with a Mardi Gras theme, I expect guests will go all out. The crowd: Co-chairmen for this year's bash are Cogeco Inc. president and CEO Louis Audet, PSP Investments president and CEO André Bourbonnais, and McKesson Canada president Alain Champagne. The Right Honourable David Johnston and Mary Dailey Desmarais at the 2015 gala. The National Arts Centre in Ottawa plays host to these prestigious awards, an annual black-tie tribute to this country's most accomplished performing artists. There's a swish gala dinner for supporters of the awards foundation but tickets are available to the public for the main show. The crowd: Their Excellencies the Right Honourable David Johnston, Governor General of Canada, and Sharon Johnston, U.S Ambassador to Canada, Bruce Heyman and his wife Vicki, NAC board chair Adrian Burns, Jim Treliving and his wife Sandi, David Daniels and his wife Kate Alexander Daniels, and philanthropists Janice and Earle O'Born. The Weston family matriarch is keen on books; the annual Hilary Weston Writers' Trust Prize is this country's most prestigious literary award for nonfiction works, and the party given to celebrate the winner, held at the Art Gallery of Ontario, is a must-attend Can-lit mashup. The Dublin-born former Lieutenant Governor of Ontario, splits her time between Toronto, Florida and Fort Belvedere where she entertains splendidly. Under her leadership, which began in 2009 when she was appointed CEO of the National Arts Centre Foundation, the organization has exceeded fundraising goals. Jayne is one this country's great connectors, fostering major partnerships and drawing philanthropic support to Ottawa for a slew of must-attend activities including the annual NAC gala and the Governor General's Performing Arts Awards. The Vancouver-based philanthropist is the granddaughter of Sam Cohen, founder of Army & Navy, Canada's oldest family-owned department store where she has served as president since 1998. This brazen West Coaster and daughter Kasondra, another budding do-gooder, are scene regulars year round. Her above-mentioned Face the World Foundation gala began in 1991 and supports dozens of local organizations. This East Coaster was recently appointed to the Order of Canada for her commitment to philanthropy across Canada. On five beautiful acres in St. John's is the Elaine Dobbin Centre for Autism, the provincial headquarters of the Autism Society of Newfoundland and Labrador. Other contributions include the Craig L. Dobbin Genetics Research Centre at Memorial University, named for her late husband, Craig Dobbin, owner of CHC Corporation, the largest helicopter company in world. The Montreal-based art, culture, design enthusiast was recently appointed the general director of mmode, an organization that is focused on increasing awareness of the work of the Montreal fashion industry. The marketing pro is also president of the Musée d'art contemporain de Montréal's ball committee. For the occasions she helps steer, she dons show-stopping, made-for-her outfits from local design talents.